With the prospect of another Labour leadership election now gathering pace, tens of thousands more activists have joined the Labour party. It seems unlikely that they will be "moderates." The election of an Islamist-sympathising, terrorist-sympathising, Israel-bashing hardliner at the head of the second largest party in the House of Commons undoubtedly changes the parameters of political discourse in the UK. However solidly Theresa May's new Conservative government performs, it will always seem the point -- so long as Corbyn is in office -- that you are either for Britain or against it, for the Conservative party or against the country. A fractured and in-fighting opposition also means that there is no meaningful, organised voice challenging the government in Parliament. That principle -- the principle on which our system is based -- needs to work well even (perhaps especially) if you support the government of the day, because the government of the day needs to be kept alert to error and on top of sensible criticisms if it is going to pass the best legislation it can for the country. Herbert Stein's law, "Things that cannot go on, won't," is one of the best laws of politics. It works for fiscal issues and it usually works for politics as a whole. The British Labour party, however, is currently working to try to disprove this rule. To do them justice they are having a good stab at doing so, which suggests that the maxim should perhaps be re-written: "Things that cannot go on sometimes do." Consider the latest developments in the party's recent unhappy history. Earlier this month the party's specially commissioned inquiry into anti-Semitism within the party found the party not guilty of this bigotry for the second time in six months. 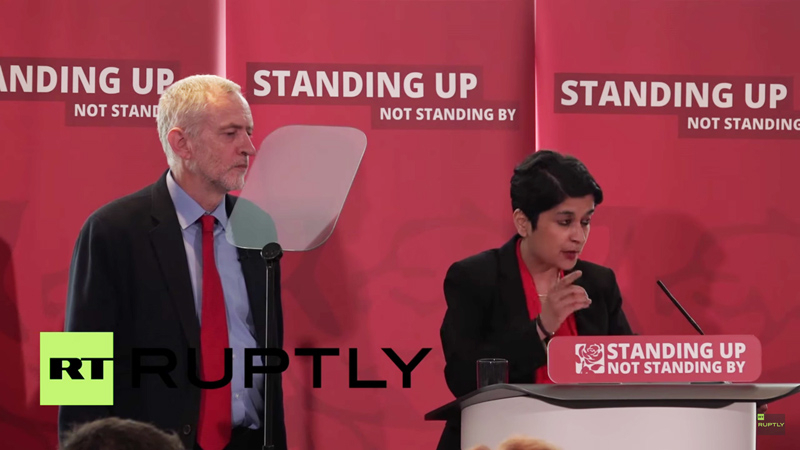 Yet at the launch of these findings, a grassroots member of Jeremy Corbyn's wing of the party verbally bullied a female Jewish Labour MP until she left in tears, and Jeremy Corbyn himself appeared to compare the Jewish state with ISIS. Although this episode captured some headlines, it was a mere footnote alongside the other catastrophes in the Labour party. At the same time as this was going on, Labour MPs attempted a coup to get Jeremy Corbyn out of his position as head of the party. A carefully orchestrated set of resignations from his Shadow Cabinet came in every couple of hours until almost all of the Shadow Cabinet had resigned. Corbyn also lost the support of the deputy leader of the party, Tom Watson. A no-confidence motion saw 172 Labour MPs vote to say that they had no confidence in their party leader, while only 40 Labour MPs supported the party leader. This move meant that Jeremy Corbyn began to have significant trouble finding enough supporters in the Parliamentary Labour party to fill up his shadow cabinet. The joke in Westminster was that those few who did stay loyal to him would find themselves having to hold multiple briefs, so that somebody might easily find themselves being appointed Shadow Home Secretary and Shadow Foreign Secretary. The trouble appears that all of Corbyn's politics has a distinctly unfunny, nasty air. It emerged this week (from another declaration of no confidence in the leader) that earlier this year the Labour MP Thangam Debbonaire was both appointed and then sacked as the party's Culture spokesperson, all within 24 hours and all without even being told, while she was undergoing treatment for cancer. Such stories of non-communication and cruelty towards individual MPs have fanned the rather understandable feeling that Jeremy Corbyn may not be suited to the highest peaks of politics. Unfortunately for the Labour party, it is not only MPs who have a say. Under new rules unwisely drawn up under Corbyn's predecessor, Ed Miliband, the Labour party can now be joined by anyone with £3 to spare. All such people then have the right to vote on who the Labour leader should be. Although the idea of having a say in any political party's future for little more than the price of a cup of coffee may sound appealing, it also leaves a party open to the possibility of a hostile takeover from the most fanatical people in the country -- whether they have the Labour party's interests at heart or not. This is exactly what happened last year when Mr. Corbyn entered the Labour leadership race. Tens of thousands of people from the grassroots, who were soon to form themselves into the 'Momentum' movement, saw their chance to bring hard-left politics into the UK mainstream. Jeremy Corbyn won almost 60% of the vote in that election. In recent weeks, despite the formal no-confidence vote of the Labour MPs, this grassroots support for Corbyn only appears to have galvanised further. With the prospect of another Labour leadership election now gathering pace, tens of thousands more activists have joined the Labour party. It seems unlikely that they will be "moderates." Nevertheless, two "moderate" candidates for leader stepped forward, inevitably splitting the anti-Corbyn vote, until they seemed to realise this and one dropped out. Nevertheless, polls of party members suggest it looks overwhelmingly likely that in the coming weeks Corbyn will entrench his position by winning a landslide in a second ballot of the party's members within a year. Why does this matter? For two reasons. First, because the election of Corbyn has poisoned British politics. The election of an Islamist-sympathising, terrorist-sympathising, Israel-bashing hardliner at the head of the second largest party in the House of Commons undoubtedly changes the parameters of political discourse in the UK. However solidly Theresa May's new Conservative government performs, it will always seem the point -- so long as Corbyn is in office -- that there is no party of the decent left available for the large proportion of voters who would like such a thing. This leaves countless patriotic, left-wing voters without a meaningful voice in Parliament. The other reason why this principle matters is because it suggests that vested interests matter more than truth. Herbert Stein's dictum lacked one crucial ingredient: people's desire to look after themselves. There are Labour party MPs already looking for a way out, including looking to found a new party or parties. But they fear that way lies electoral oblivion. So they stay, in a party wracked with in-fighting and led by the most corrosive person their party has ever chosen in what had been a noble history. And all the while that person in charge of their party is busily mainstreaming the worst bigotries of our time. When pushed to decide between their morals and their careers, the dictum holds in the Labour party that things that cannot go on, find some way to do so. Douglas Murray, a British author and commentator, is based in London.